Sometimes the time spent in airports is mirrored in their unending depths. 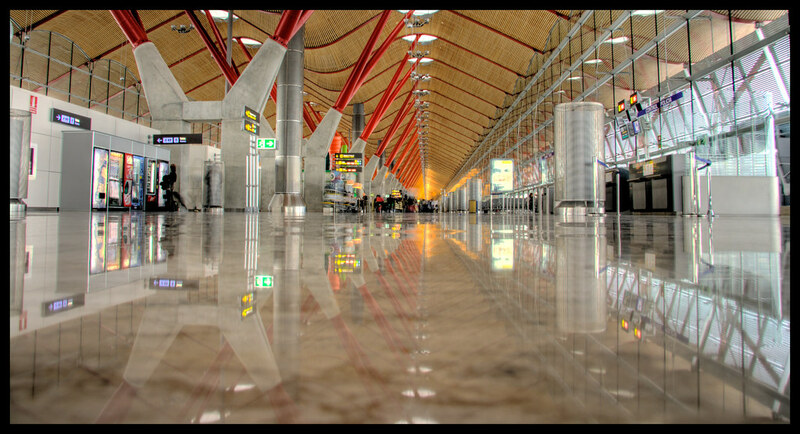 In fact Barajas isn't a bad place to be stranded for a few hours, and I got some work done in between flights from Dublin and to Santiago. More of that soon, I hope. Click if the image is cut off on the right of your screen.